OK, so how do I access the slash character? 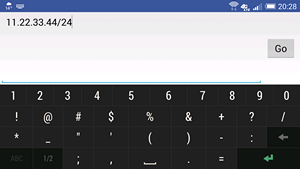 No idea what keyboard that is, but in the Android app, you press the "*#" key and it gives you more options including "/"
The solution seems to be to switch to landscape. Then I get a different keyboard. Sorry all! 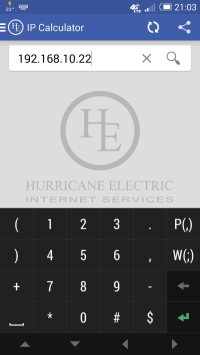 There was an issue when using alternate keyboards, and the lack of clarity with the Android "special characters" keyboard. This was fixed in the newest release (0.5+) of Network Tools.